To many fans, who may be disillusioned with Roman Reigns getting far too many shots at the Universal Championship, this is the real main event. Alexa Bliss has reigned supreme over the women's division for far too long, thus far. It's time for a new champion in the eyes of many fans. Will Ronda Rousey be able to dethrone The Goddess from her perch? Could we see Bliss up to her wily tricks? Let's get this possibility out of the way first. 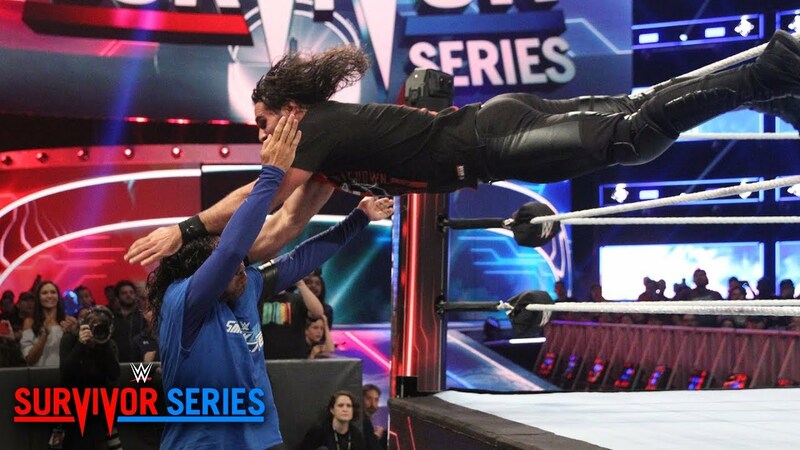 It is extremely unlikely that a big title match will end in such a disappointing finish on a stage such as SummerSlam. But knowing Alexa Bliss and how she's been booked thus far, she will try everything in her power to retain her RAW Women's Championship. This could include using the same championship to lose the match and retain the RAW Women's title. The only rationale for a finish of this nature could be to set up a stipulation match for a pay-per-view down the line. Maybe she just runs away from Rousey, like she's been known to do in the past, invoking the dreaded ten count. Something tells me that this is not how the match will go down, though. If it does, there will be a lot of disappointed fans. Could Bliss achieve the unthinkable and score a clean win over Ronda Rousey? Bliss is one of those performers who's performed significantly better in the main roster than she did in NXT. Back in developmental, she was never even a serious contender for the NXT Women's Championship, while on the main roster she's been booked very strongly. Could this booking translate into her scoring a clean pin over Ronda Rousey? Yet again, this is an unlikely possibility based upon how Rousey has been portrayed as a dominant WWE superstar, thus far. However, in the past, we've seen Bliss put away far too many superstars that we thought she wouldn't be able to dethrone. This probably stems from the fact that she's gold on the microphone and has a look that WWE officials like. Will a clean victory over Rousey take away the mystique that she has? I have a feeling that yes, Bliss defeating Rousey clean will diminish her aura significantly. Mickie James is much like Alexa's little lamb- where one goes, the other is sure to follow. Could she tip the match in favour of Bliss, when Rousey has it under control? I have a feeling that this could be the plan if the plan is for Rousey to maybe win the match at Evolution. It would help in getting more heat on Bliss and James. Some may say that James is being underutilized in this role, but such is true for many a RAW superstar. Could Stephanie McMahon and Shayna Baszler form the ultimate heel alliance? We all expect the Four Horsewomen to be one, happy family when they get called up to the WWE main roster. There's a big possibility that this may not be the case. What if Shayna Baszler gets called up to align with Stephanie McMahon in her war against Ronda Rousey? There's always a call-up from NXT following SummerSlam. Baszler could become the latest to get a summons, interfering in this title match. There's a ready-made storyline as well because Baszler and Rousey are best friends. In time, Baszler could become an invaluable asset on RAW. I think there's money in a Baszler vs. Rousey feud. 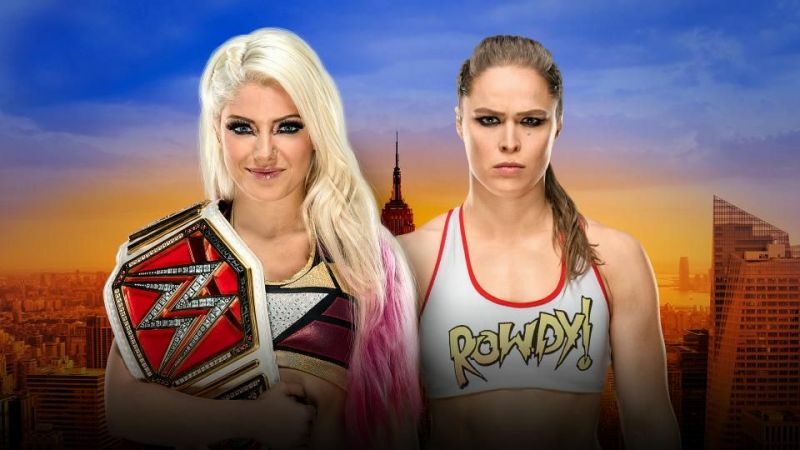 Ronda Rousey and Alexa Bliss will not put together a mat classic. Instead, expect a well-choreographed contest, that is both short and sweet. In all likelihood, this could be Rousey's crowning moment. Expect her to be victorious on this big stage. Some may argue that it is far too soon to put the belt on Rousey. And yes, this may indeed be the case, but it will certainly make for a good headline. And mainstream publicity is something WWE thrives on. How would you like to see this match play out, reader?